So just booked in my CJ for its service. Got a choice of the 120k($320) or 150k($540)... let me explain. Last service it was at about 120k and it go the 135k service because of time. Now its right on 135k thanks to the 10k road trip back in May. So I was given a choice, now its been booked in for the bigger 150k service to make sure they have the part/supplies on hand in 3 weeks times. BTW I noticed at 120k there is no manual gear box oil change but it was at 105k and 135k, and will be done at 150k. Weird? Does it need the bigger service? 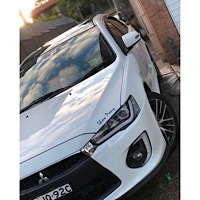 Last edited by Lancer1993 on Fri Sep 28, 2018 4:13 pm, edited 1 time in total. Me personally would go the bigger service, as you will have peace of mind knowing everything’s been taken care of, how was your trip btw? Trip was good, car didn't miss a beat. A few days we sat on 110 pretty much he whole day apart from some towns, which were few and far between heading west. BTW here are the service sheets. 135k $452.80, just checked it. Plus $70 for TOG air filter. 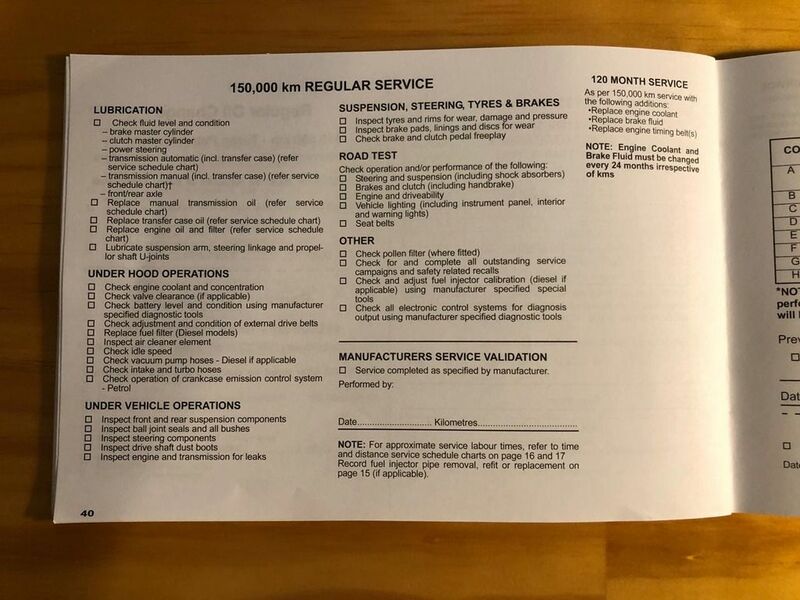 Looking at the details the 135k looks to be a bigger service with things like the brake fluid and coolant changes so why does the 150k cost more? 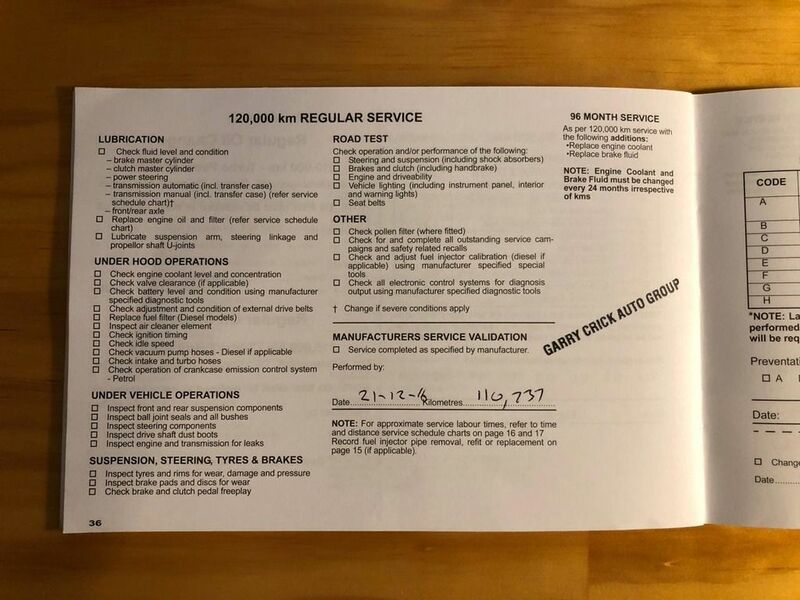 I figure (assuming they were actually done) then the brake fluid and coolant can be skipped this year, it says 24 months in the warranty book. This then leaves engine and GB oils to be done, along with filter. The air filter is not on the 150k service list and I just checked it last week, its as clean as the day I put it in, about 10 months ago. The transfer case was done last service so isn't due. But it leaves a lot of checking, which takes time which is the killer in any service and the largest part of the bill. I do have a choice on the day, I'll just need to clarify exactly what was done at 135k. They can skip the tyre checks and I'll check the cabin filter before the service. Why do you need the TOG filter, I guess you have the stock one currently? Keep in mind the 2013? onwards 4B11 engines have a different air filter box and you need a different filter. These dams engines also don't require the power steering flush as it's now electric. It lists timing belt under the 150k service if 120 months (10 years). I believe the other engine belt is replaced at the same time, so the higher cost may include the changeover of this belt. 4B11 & 12 engines don't have a timing belt.The drive belt is only a 10 min job to replace.The service book for the NA lancer covers quite a few different vehicles.This is why you see things like timing belt replacement,change transfer case oil,check turbo hoses and lubricate steering and universal joints. So when is the timing belt due in the 4B12? I thought it was at about 100k, but now I'm not sure. I'm dropping in to the dealer tomorrow to work out which service they will be doing and what is needed to be done and I'm pleased to say right now its on track with the service guide by time and distance. There is no timing belt only a drive belt for the water pump etc. You only really need to replace it as required. I saw the dealer today, double checked and the coolant and brake fluid were done last year, so good for another 12 months. But should they do the 135k again minus those above? That service is pretty much the same as the 150k, both include the manual GB oil but the 150k doesn't include the transfer case oil. Is that normally done ever 2 years? 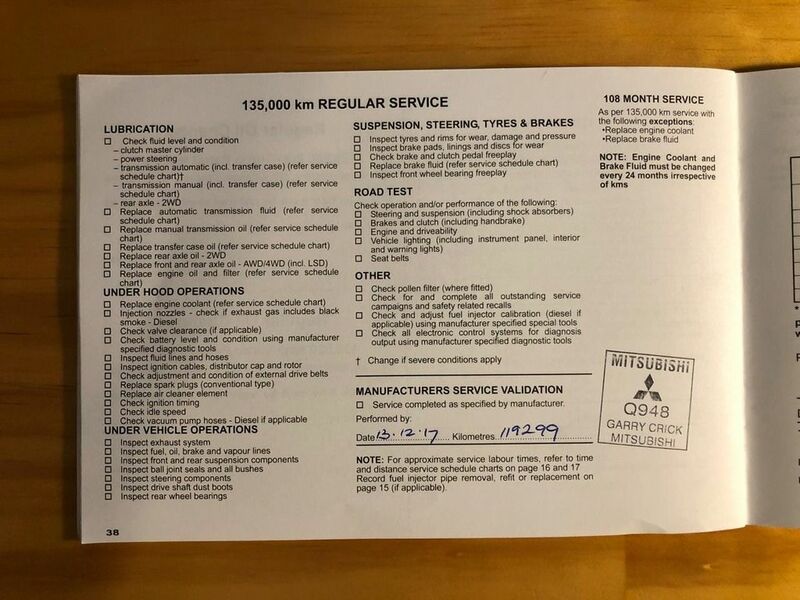 Its annoying the way they write the service book because it covers so many models, it also refers to diesel when there are none in AU and often it depends on when some items were done depending on distance and age. Wouldn't it be easier to have a chart in the back for big items like oils and other fluids so they can tick them off and its easy to see when it was last done? The service book covers Lancers,Challengers.Outlanders and some of the commercial vehicles. BTW your Lancer doesn't have a transfer case.The diff and gearbox are all in one. Okay I thought they did, clearly I'm not and expert on the 4B1 series of engines... only found out the other day its an all alloy block/head and they made a 1.8Lt version for other markets/makes and models. lancerdarryl wrote: The service book covers Lancers,Challengers.Outlanders and some of the commercial vehicles. 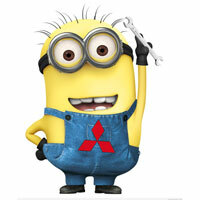 BTW your Lancer doesn't have a transfer case.The diff and gearbox are all in one. So given your experience, with my 09 VRX having had the 135k service (shown above) last time, about 9 months ago and its only now hitting 135k. Keep in mind a lot of the distance since the last service was HWY travel with a 10k trip interstate. And the coolant and brake fluid were done last time. The GB oil was also done last service. Which service should they do? So I don't get ripped off or pay for a service I don't need. I'm not being tight but like most I just hate paying for something that is not needed.